I am l*o*o*k*i*n*g f*o*r*w*a*r*d to the event. And I confess, it does also have a lot to do with the parties involved. VW + parties (not ignoring food). An amazing combination for one of my lot. So this year again I. Just. Booked. The. Hotel. and will be in Chicago! Rayt°, do you make again that particular personal favor to me and join us in Chicago? Who's there? Add yourself to the list! I have to go. Last year I went and didn't get to meet you! I'll be there! MOST likely I'll be in the Tech Support room and/or the various training sessions as an assistant instructor but otherwise I'll be enjoying the insane food and drink that we always end up getting. In any case I should be able to meet and greet far more people than I was last year. In Philadelphia I spent quite an inordinate amount of time chasing those indescribably tasty mini-brownies ... a whole evening party. What a shameless thing to do. And what about those paranormal Italian buffets popping up nearly everywhere? With a quality like the catering was done from Harry's bar in Venice? Was it really, perhaps? BTW, Jim might not know this yet but he will be in a Renderworks techniques training session. He is really good at it. I do really love rendering. And what about those paranormal Italian buffets popping up nearly everywhere? I usually start dreaming about it 2 weeks before every trip to Chicago. Juan and Jim, can you engineer a hole in the schedule long enough for a lunch run? I make it a point to try EVERY sandwich. Juaaaaaaaan? Have been considering attending, and less than a month to sign up for a bit less, so I have some questions. You have a partial speaker list that seems to need updating, and you have a schedule. Any idea which speakers listed and topics are in the optional training sessions on Monday, and the schedule of the break out sessions. Apologize in advance if I am missing something, but they don't seem to appear on the VW Summit website. For example, when is Bryan Goff's Storm water session? Checking! I have a tentative schedule but I am not sure how final it is, let me talk with the coordinators and I'l see if I can get you an answer. Thanks, look forward to it! I think we should right..Sandwich run here we go !!! Edited February 2, 2016 by Juan P.
Later in the morning on Monday the training sessions start with Architect, Spotlight and Vision, Marionette and Landmark. Followed by lunch. Then, the second set of breakout sessions; DWG, Renderworks, 3D Modeling, and Project Sharing. The third set will swap out 3D modeling with Energos but the others from the second set will be repeated. The classes range in length from one to two hours each. 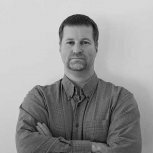 Jonathan Pickup - Director of Training at Archoncad and creator of the excellent Vectorworks Essentials Tutorials series. Tamsin Slatter - Director and Founder of Design Software Solutions as well as the creator of the Landmark Getting Started Guides. François Lévy - Principal at Lévy Kohlhaas Architecture author of BIM in Small-Scale Sustainable Design. Sounds great. Going to sign up for Monday. Sounds like the Storm Water topic will be one of the 1 hour break out sessions the next few days. Will be good to meet Jonathan and Tasmin, having seen many of their videos. As a fellow Texan, have worked with Francois and will be good to see him again, as well. As a former Chicagoan, I will also be mapping out my food routes, which start with Chicago Style Hot Dogs, Deep Dish Pizza, and the old Berghoff, a German restaurant on the lower level downtown. Your Chicago food tour doesn't include the "Twin Anchor"? Been to Chicago at least half a dozen times and all but one have made the trip to Lincoln Park and the "Twin Anchor". What's your favorite deep dish place? When you see me, you'll see I really like them all, Uno's, Giordano's, Lou Malnati, etc. Perhaps my favorite is "Whatever is closest." I will be there. Last year was a blast, always wanted to see Philly. Chicago is now closer to me but is always a great place to visit. Beyond the city is the reason we attend, the Summit and I can definitely say Vectorworks does it well. It's a great experience and is always great to meet all of you. I'll be there! But you knew that already Orso. I'm very much looking forward to hanging out with you again, seeing familiar faces from last year and meeting new people. Been poking around but haven't seen any more detailed schedules. Are there any updates? Specifically, what is on Wednesday afternoon since I need to get up to Minnesota for a Project. Prodding the organizers to get the public schedules released now! Thanks. I actually had to go ahead and book, but should be able to stay until at least lunch. Will miss the architecture tours and what not and maybe the last break out session. Brain will probably be fried anyway! It's a really good list this year I feel. Last year there were a lot of "theoretical" talks which were good but people asked for more specific training/tips/workflow talks which I agreed with, I'm lucky enough to be involved in the Rendering one and I'm going to try and stuff as much Meat-n-potatos content in there as possible.